Do you take your vehicle off road? Yes… then do yourself a favour and get some bash plates. 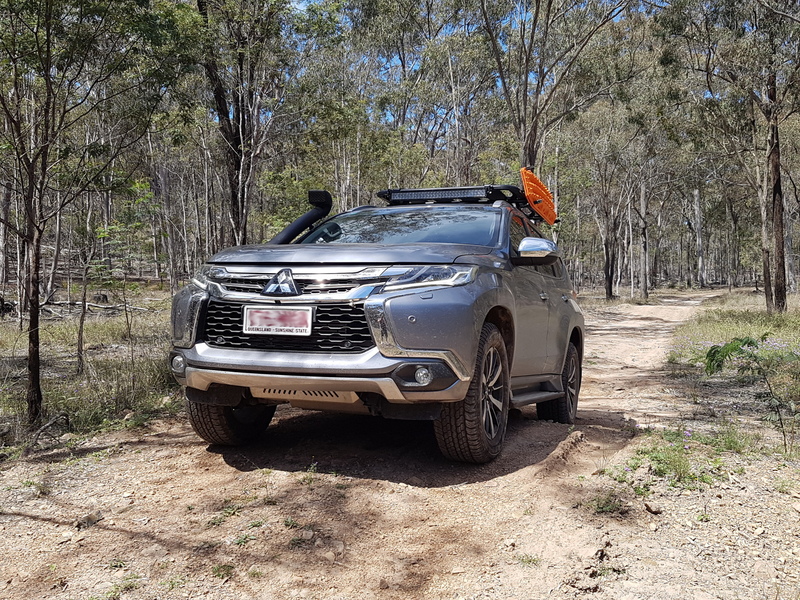 The Pajero Sport comes standard with a bit of tin protecting the front of the vehicle. You know that stuff you peel back on a brand new Milo can, yeah that stuff. Ok well not quite but close enough. I changed mine straight away so I don’t have any damaged ones to show you, but I have seen first hand how easy they can be damaged. I have seen photos of a Pajero Sport where the factory, let’s call it a tin guard, was damaged and in turn damaged the radiator of the vehicle. 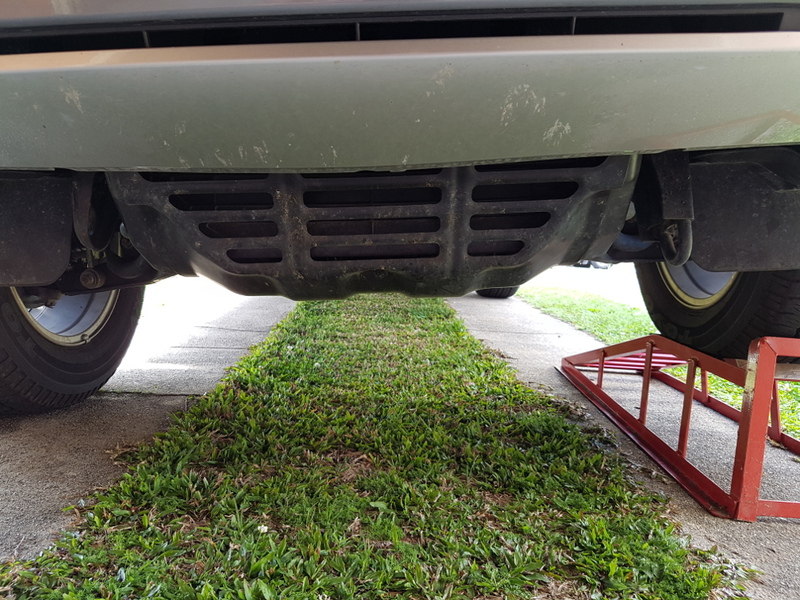 They are a small investment considering a full set protecting the front, diff/sump and transmission will set you back about $450.00 for 3mm stainless steel and about $550.00 for 4mm. 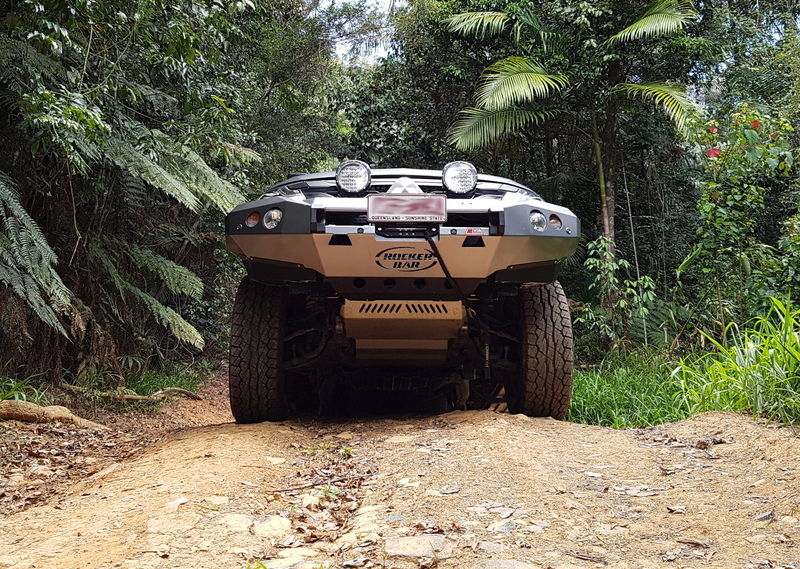 There are several dealers that make and sell them but I purchased mine from Custom Offroad Accessories who are local to Brisbane. I opted for 3mm in order to keep the weight down as I plan to add a bull bar and second battery etc. I have been off road several times since fitting them and can say that there are no dents whatsoever, but I know that when I do unfortunately collect something, be it a log or a rock from a water crossing, I know that I am protected. Installation took less than 30 minutes. A must buy if you do any off roading at all!